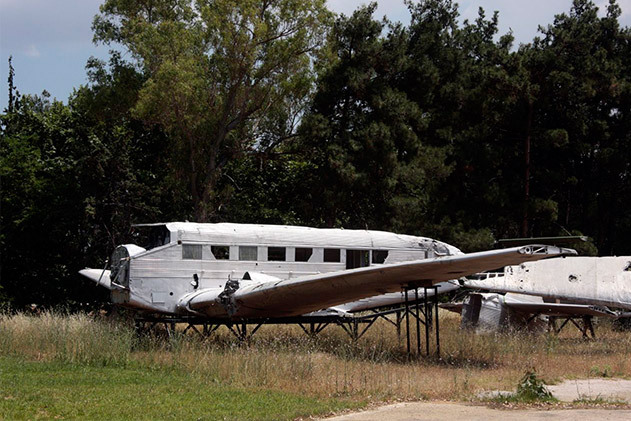 Hidden Boneyard in Greece with German Ju-52, Stuka, C-47 and Lockheed F-104 Starfighter. 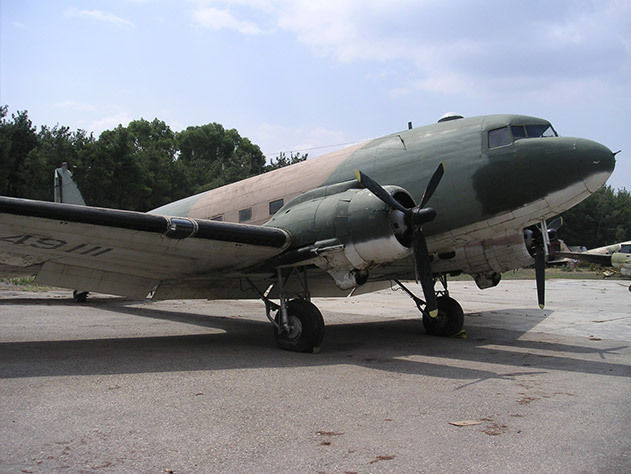 In this Dakota Hunter Blog, you will read about a weird boneyard aka a Museum collection of aircraft to be restored in Tatoi, Greece. Until recently, this unique collection of wartime and post-wartime aircraft was kept strictly “closed” or only accessible with a special permit. 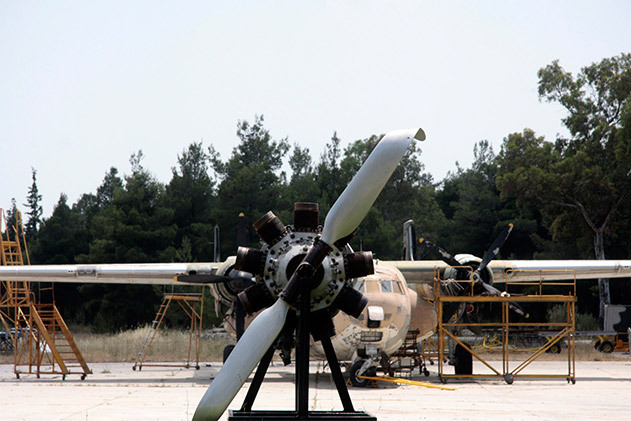 For years, it seemed that the Greek Military Authorities had a near- paranoia approach toward “Peeping Toms” who with cameras tried to film/photograph the vintage aircraft on Greek Air Force bases (AFBs). 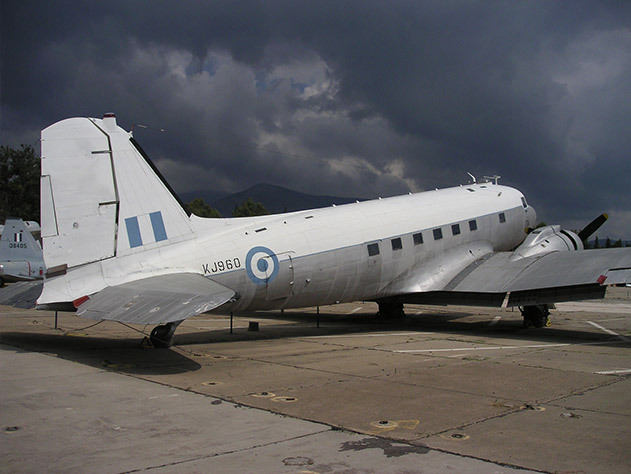 It was since long time known to me that the Hellenic Air Force (HAF) still had a fleet of aging, out phased C-47s/ Dakotas standing there on their AFB, rotting away in open air. I even tried once via the Military Attache of the Dutch Embassy to launch a serious effort to visit their AFB and hoped with that to get an entry to purchase their surplus parts. All those efforts were in vain and I lost my interest, as I could harvest with more ease the C-47 surplus stocks of other Air Forces in the world. Worse, not so long ago , a group of Dutch aircraft spotters stood there outside a Greek AFB gate, trying to film the vintage WW II survivors. For some reason (that I don’t know), they were arrested by the Guards and locked up for days. Only to be released after the intervention of the Dutch Embassy. Possibly, they had trespassed a high barbed wire fence and ventured into the Greek Area 51? Not very likely, considering their average age, so maybe it was that old paranoia that played up again, of a rather closed Military Culture, living for decades with a neighboring threat. Such tense atmosphere does not allow for any hanky panky with cameras at any Military gate, as we all know. Even if only the best that they could see was a fleet of 15-year-old operational F-16s, the mere photographing and counting of their numbers was considered a form of spying for their arch rival Turkey. So a serious offense, a good reason for court-martialing. Photo above was taken at the entry to Death Valley, my friends Lal and Floris (at right) and me (left) on our Harleys from Holland. I noticed that we were passing the restricted area with in its center Groom Dry Lake, Nevada. There is that camera guarded stealthy US Air Force base Area 51 with a number of ongoing top secret Aurora-like projects under development. I always knew that this was the cradle of the epic Spyplanes U-2 and SR-71 in the 1960’s -1970’s and all Black (Stealth) Jets that followed ever since. On our 6000 miles long Harley trip (from Vancouver to Sturgis, from there to Las Vegas and via SF back to Vancouver), coming out of Las Vagas, I decided to go there, trying to catch a glimpse. In my ever optimistic opinion, it was such hyped aircraft that flashed overhead at Mach 3+ as we heard a faint distant rumble while this photo was taken. It could well have been a thunder clap from the mountains (OK, unlikely with the sunny weather). But as we later stood there with mixed feelings of confusion and excitement, right in front of a closed gate of Area 51, we evidently interpreted it as the sonic boom of the Top Secret X-69 (the rocket powered Mach 4 Phallus symbol nobody has ever seen). This was the self-explained evidence that we were close to what we came for. But the Restricted Area/ No Access signs and the swiveling cameras on top of the fence poles made clear to us that we were very unwelcome. That was years ago, and we understood that any further action to come closer was no good idea. But ever since my youth, all that what comes close to a test facility, a boneyard, hidden aircraft in hangars, abandoned airframes in a desert etc, that all has my very special attention and always my curiosity tickled all my nerves endings. Deliberately or by sheer coincidence, I have visited many such places all over the Globe. In this “Boneyard” series of my Blogs, I will start with that Greek Tatoi Boneyard/ Museum collection with some remarkable photos. 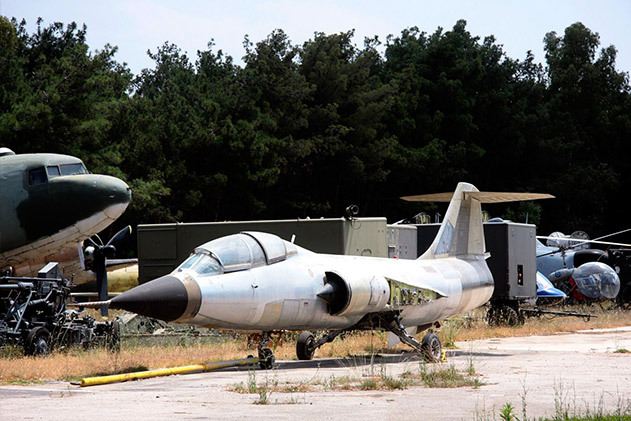 Tatoi (Dekelia), situated near the Capital Athens is a Greek Air Force Base with a museum. Photo above shows a rare airframe of the Junkers Ju- 87 Stuka D3 exposed in open air. 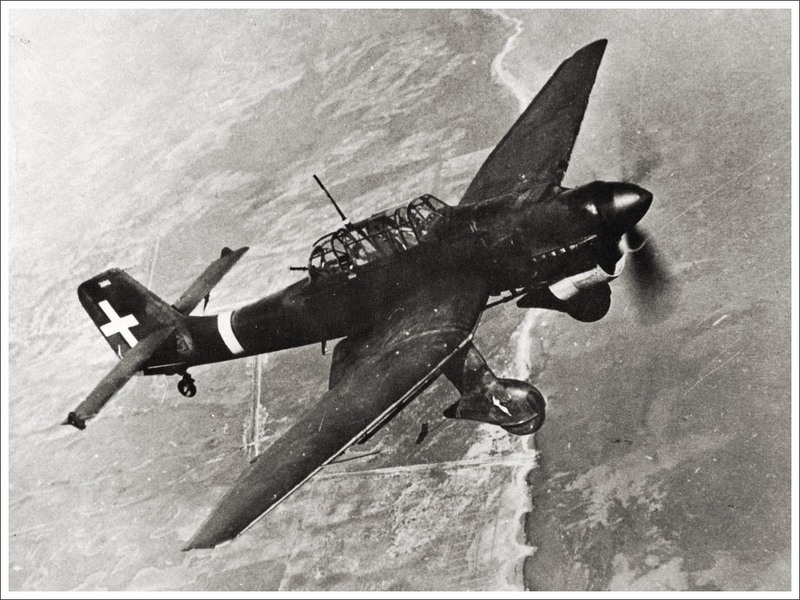 It is one of the couple of Stuka aircraft that was found on the bottom of the sea in the Mediterranean as they took part in the Greek theater of war with Italian and German troops against Allied Forces. This Stuka Ju-87 D3/Trop, sign S7+GM (? ),was shot down on 9 September 1943 near Rhodos Island, and recovered from the sea bottom on 5 October 2006. Photo above shows the Stuka in all its glory. As part of a totally new Warfare Concept, named the Blitz Krieg, the German Forces deployed fast moving tanks and mechanized infantry transport on the ground, whereby their air superiority was crucial for the success of their operations. With their legendary Messerschmitt Bf-109 as their front fighter/ interceptor , the Ju-52/3m for paratroopers and ammo droppings and the Ju-87 Stuka as a far reaching low altitude dive bomber and tank/artillery buster, they formed the ultimate war machine of terror at the start of WW II in 1939. They had done the testing of their Stuka concept in the Spanish Civil War (1936-1939) against an enemy that had never seen any such machine before. In 1939 , the Blitz Krieg was to be rolled out all over Eastern Europe while in 1940, Western Europe (France and the Low Countries) felt the pounding power of the mechanized Nazi War Hammer. Their opponents always fought with inferior weapons and lower mobility (with often still the WWI style massive horse back riding troops and artillery pulled by horse spans). On top, the stunning lack of `panzer`protection made them very vulnerable for the freely swarming Stukas and Messerschmitts that rapidly won air superiority in all continental war theaters from Poland to the Baltic States. But rolling into Western Europe since May 1940, things became more complicated. And one day in summer 1940, the Stukas were confronted with the British RAF Spitfire and Hurricane fighters. The Nazi Machine came over to fight the air superiority over the British Islands. The factor of surprise was gone, they had to fight over enemy territory for the first time against modern fighters with dedicated and well-trained pilots. As a result, they never gained their much-wanted air superiority over the UK. The momentum and initiative slipped out of their hands, and before the Nazis realized it, the heydays of the Stuka were over. “Gruppen” of Stukas were shot out of the air with their relatively low top speed and slow climbing rate. The Luftwaffe had to withdraw the type from operations over the British Islands, a nightmare scenario for the Great Furher and his staff. The Battle of Britain came to an end on 31 October 1940 and so came the reputation of the Stuka as being “Wodan’s invincible War Hammer from the Sky”. But the type soldiered on: at the Russian Front, in the North African campaign and in Greece where the Italian Forces capitulated in September 1943 , leaving tons of extra pressure on the German occupying forces. It was exactly in this confusing period of retreat and betrayal that the Stuka from the Tatoi Boneyard was shot down and plunged into the sea, where it was hidden for the next 63 years. Photo above depicts the Junkers Ju-52/ 3m that was shot down at the Island of Leros, Greece on 14 November 1943, sign DH+KG. Its recovery from the sea bottom was carried out in Oct. 2003. Werknummer 7607, Year of construction 1942. 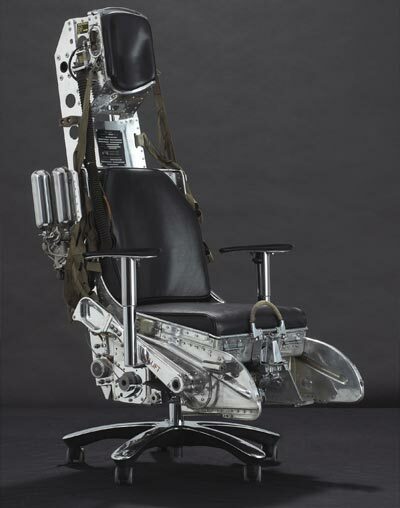 For more than 60 years , this aircraft had been settled at the sea bottom at 40 m depth. After the Italian surrender in September 1943, Leros came under the influence of The British Forces. They were trying hard to disturb/ intercept the German air supply lines between the Greek mainland and Rhodos. That island had a crucial position in the Eastern Mediterranean War Theater and the Germans tried on 12 November 1943 to re-conquer the island, in which they succeeded with a combined Air and Sea invasion. It was during this operation that the Tatoi Junckers was shot down on 14 November 1943 and ditched into the sea. The remains of the two man crew were found during the recovery by divers. Nicknamed “Tante Ju” (Auntie Ju) and “Iron Annie” by Axis and Allied troops, the Junkers Ju-52 was the most famous German transport of the war. The Ju-52 was built of corrugated metal skin and paid little attention to beauty, features of a typical Junkers design. Parts and pieces stuck out of the airframe, and the corrugated skin, though much stronger than fabric and metal tubes, created stronger air resistance. In April 1931, the originally single-engined Ju-52 prototype was fitted with three engines. Performance improved tremendously and production of the new model immediately began. The Ju-52 served as an airliner for many nations. Finland, Spain, Sweden and Germany were just a few. It served as a mail carrier in China, and, fitted with floats, hauled lumber in remote places in Canada. Its most commom work, however, was done with the German Lufthansa. Equipped with luxuries like a typewriter and oxygen masks, the Ju-52 could fly from Berlin to Rome in eight hours over the Alps, an impressive feat for contemporary aircraft, let alone an airliner. The military potentials of the Ju-52 was not overlooked by the Luftwaffe. It entered service as a troop transport and bomber. In the Spanish Civil War, the Ju-52 ferried some 10’000 Moorish troops from Morocco to Spain, and bombed Madrid while, quite embarrassingly, some Lufthansa Ju-52s were in the airport serving as airliners. Later in World War II, the Ju-52 served in every theater in which Germany participated. It dropped paratroopers in the Netherlands, Crete and later the Ardennes. It carried supplies to beleaguered troops in North Africa, Stalingrad, and the Baltic states. The Ju-52 was slow and very lightly armed against fighters. As a result, it suffered horrible losses in almost all actions, especially over Crete, the Mediterranean, and Stalingrad. Many types of replacement were built, but none was as popular or reliable as good old Auntie Ju. Right until the end of the war the Ju-52 was still soldiering on to help stave off defeat. The last Ju-52s went out of service with the Swiss Air Force in the late 1980s,­ over 50 years after the first of these durable aircraft first took to the air. Some Ju-52s are still flying today. Photo above shows the interior of the cabin of the Tatoi JU-52 , all in a rather good shape after 60 years of underwater storage. The corrugated duraluminum plating is all over in this aircraft, a typical Junkers feature of aircraft construction, light and strong. 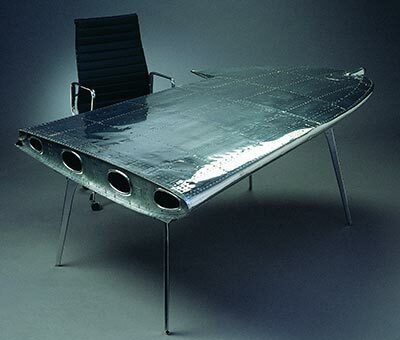 Junkers pioneered with this advanced technique during WW I and went on in the early 1920’s with their all-metal aircraft concept . Only a decade later, in the early 1930’s , the US builders Boeing, Lockheed and last but not least Douglas, went to venture into the universe of the all-metal passenger transport aircraft. 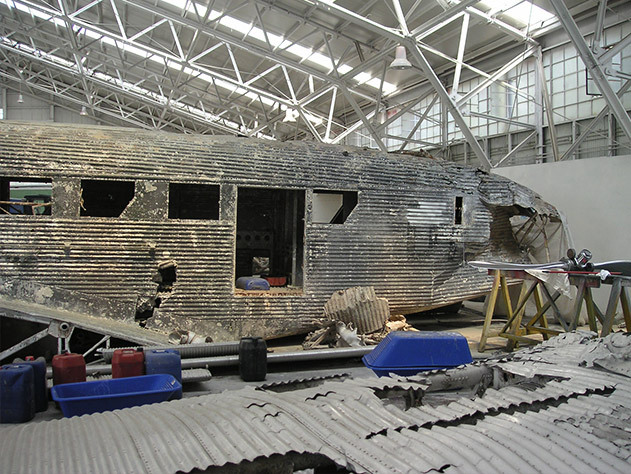 The winner coming out of that “US first all-metal aircraft” competition with revenue making potential was the iconic Douglas DC-3, an airplane not built with corrugated plating, but with sheet aluminum panels, riveted on stringers and ribs. The Junkers Ju-52 was first built in 1931, the DC-3 came out 5 years later and went into production in 1936. The dimensions of both aircraft were more or less equal, but the DC-3 was designed in a wind tunnel and had a far lower drag coefficient with retractable main wheels, better streamlining over its wings and fairings covering the wing roots. Hence , the DC-3 had a distinct edge in speed. flight range and payload with only 2 engines of 1200 max HP each, against the Ju-52 with 3 engines of 900 max HP each. Douglas had the more advanced design and manufacturing methods, along with the better-performing twin aero engines concept, that made their DC-3 / C-47 the winner. Only five years ahead in development, but with a world of difference in technology. Question left: would there be a DC-3 if there was no Ju-52 as its pioneering all-metal forerunner? History lets you guess, fact is that such competition drives the World into progress and improvement. And that is also why we have now a cell phone, GPS, PC, and a Hi-Def camera, all packed in a single little box smaller than that old school pack of cigarettes. That truly is a little wonder. 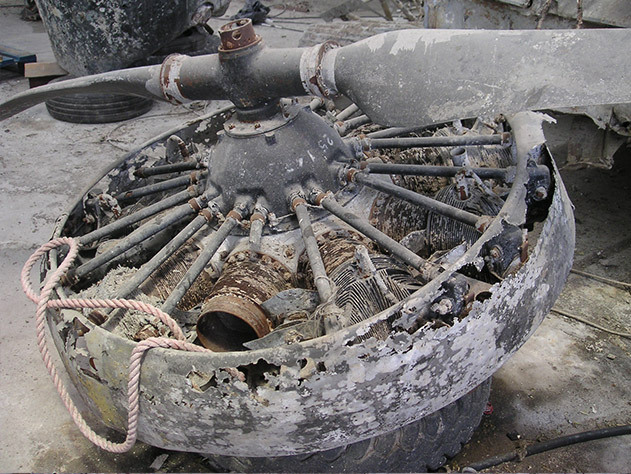 Photo above shows one of the Junker’s engines that came off during the ditching. Most likely, it is a BMW 132 type 9 Cylinder radial engine. Ironically, this type was a licensed Pratt & Whitney R-1690 Hornet, manufactured also under the name BMW Hornet since 1928. In 1933, BMW made many improvements to the engine and renamed it the BMW 132 type. This engine came later also with direct fuel injection, produced for the Luftwaffe. Displacement was 1690 cu in or 27.7 liters and had a max power output of 950 HP / 710 kW. It became Germany’s most widespread engine in the transport role in the 1930’s and early 1940’s, also the primary powerplant for the Ju-52/3m. Photo above: The man who can best be described as the “Ju-52 Hunter“, his name is Heimo Stadlbauer, from Graz, Austria. What your blog writer is doing as the Dakota Hunter, in search of the legendary DC-3 worldwide, is Heimo doing with the Junkers Ju-52. He managed to come inside the Tatoi Museum and was even allowed to make many of the photos that you see here is this Blog. Bravo, and Danke for your cooperation , much appreciated. 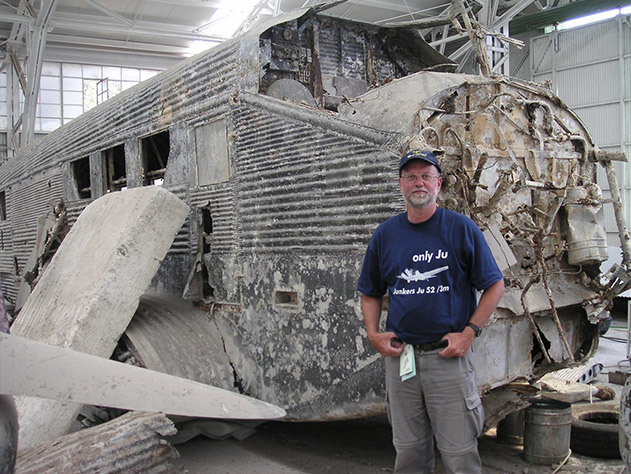 If you read German, see also http://www.junkers.de/ju-52/ein-besuch-bei-der-junkers-ju-52-tatoi. Photo above shows in the backdrop the French made Nord N-2500 Noratlas, a Cargo and Paratrooper transport with twin booms. There are very few left of this model. I met one in the Dominican Republic some 20 years ago, ever since I only saw them in Museums. More news about this stunning Collector’s Item will follow soon with more detailed and awesome photos. 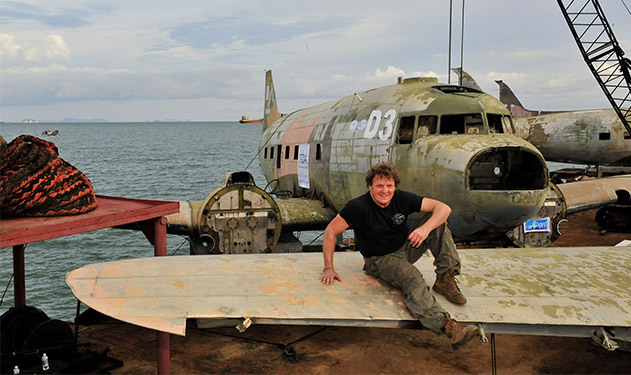 Photo above shows the Dakota Hunter on a special mission in Phuket, Thailand. Those 5 C-47’s were not just salvaged from the sea bottom as you might think, instead, they were about to be sunk to the sea bottom. In 1975, just before the fall of Saigon, those ex-Vietnam C-47’s (including an ex “Spooky”AC-47) were rapidly flown out, as if they fled in a panic. They went to Thailand on MAP loan scheme, operated by the Royal Thai Air Force ( RTAF) where they served for another 20 years. Out phased in the mid-1990’s , they stood there to become derelict until 2008. I was invited to come over and salvage some of the parts, the rest was doomed to be sunk as a Scuba Divers Underwater Reef attraction in Phuket. The whole set up turned out to be a scam, initiated by retired Air Force Colonels, who wanted to add some money to their pensions . 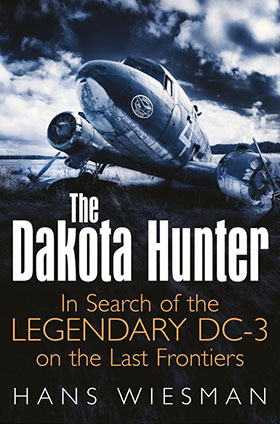 In my book The Dakota Hunter , you can read what happened out there in my dealings with the Colonels. You will be amazed to see how this ended and how those Vietnam Veteran C-47s have disappeared forever into the abyss of the Indian Ocean, due to ignorance, mismanagement, and greed of some ex-Colonels. I saw this happen also in Madagascar, Honduras, Bolivia and Venezuela where I arrived on the scene of a C-47 Boneyard, hoping to salvage the airframes. But in many cases , it was all in vain. The Colonels just won. like here in this photo above, taken in Thailand. 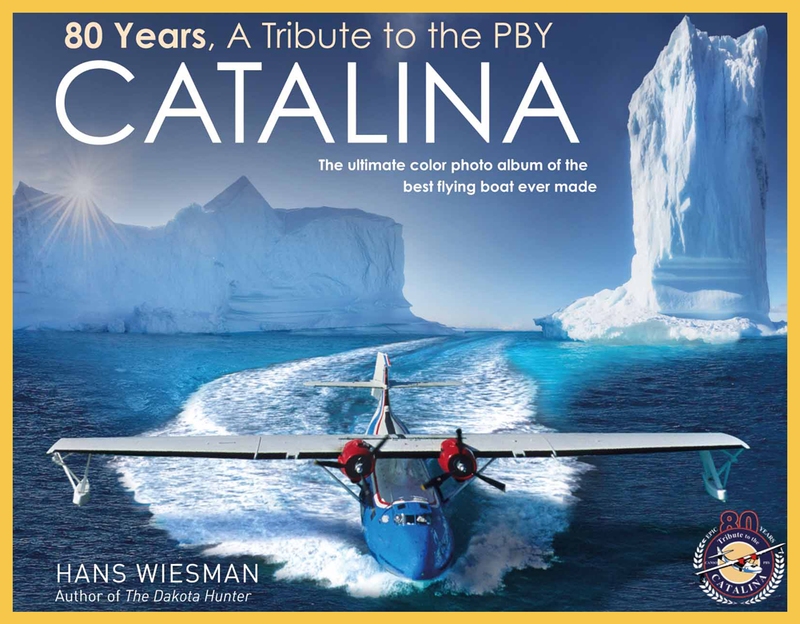 With all my adventures and encounters with the planes, pilots, the remote communities, the Military and the War/ Drugs Lords, I have collected my stories in a book of 320 pages, engagingly written and illustrated with 250 unique photos. Evidence of my 20 years of expeditions, in search of the legendary DC-3. I found them crashed, stored, abandoned, or still flying, in all states of despair, in boneyards as you see one here in this Blog. But also in situations where the Dakota still reigns as the only transport to bring you in and out of the Amazon Jungle. Special thanks to Mr. Heimo Stadlbauer for his outstanding photos and info and to Mr. Bas Ter Haar Romeny for his contributions and initiative for this Blog. If you might have a fascinating story to tell about vintage aviation, backed up with a good set of photos, but you don’t want to get through the hassles of writing a Blog. you can contact me and we’ll see if we can do a `joint production` of a Blog of my Facebook network and on War History Online Magazine.